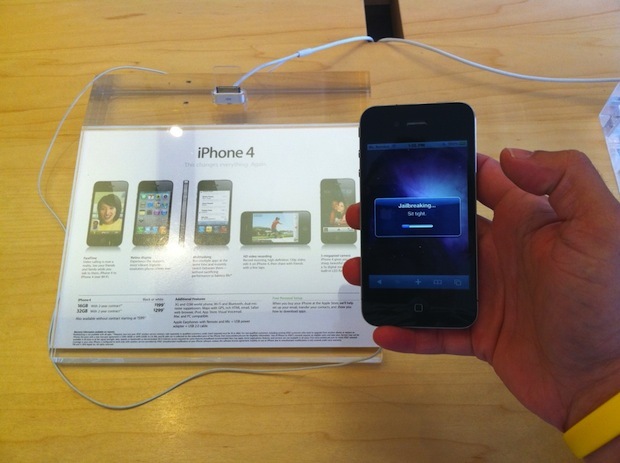 User Land Jailbreakme Will do Untether Jailbreak iOS4.3? 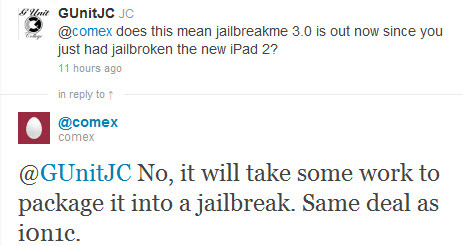 @comex does this mean jailbreakme 3.0 is out now since you just had jailbroken the new iPad 2? Till now the work is in progress and no ETA’s or Any release date has been confirmed or told. Once the work will be done and it will be ready to roll out, we will inform you. The best thing about this Jailbreak will be that it will be web based and you will only need a WI-FI to Jailbreak your iPad2,iPad,iPhone,iPod supporting iOS4.3. The another best thing will be a new version of Cydia in it which will be 1.1 and it is quite faster than the previous versions and many new things like Languages and much will be added to the upcoming Cydia1.1.